Uncertainty by its very nature has no clear right and wrong, and so self-awareness in uncertainty is critical; our emotions while vital can colour others reactions. As a leader giving people clear boundaries and guidelines empowers them to make good choices. Uncertainty offers imperfect choices. There is no right or wrong way because uncertainty is by its very nature untried and untested. It provides an opportunity to try something new, pay attention to the results, recalibrate and modify where needed, both in the doing and the being. This can often feel at odds with meeting tangible goals and targets. Senior leaders often tell me that they want their teams to think for themselves and be more self-sufficient, but they don’t give them the space to do so. Empowerment requires space and time. It involves delegating effectively, and trusting that people will find their own way, even when things don’t go according to plan. Employees are rarely provided with enough clarity and direction and even more rarely given the space to resolve issues in their own way. We need to shift from a culture of interfering when things go wrong, to allowing space for people to work things out. When you provide a framework of clear boundaries, guidelines and values, there is an opportunity for people to work things out. How do you embrace uncertainty in a way that does not add energy to the struggle but instead creates a framework for safety within which people can flex? 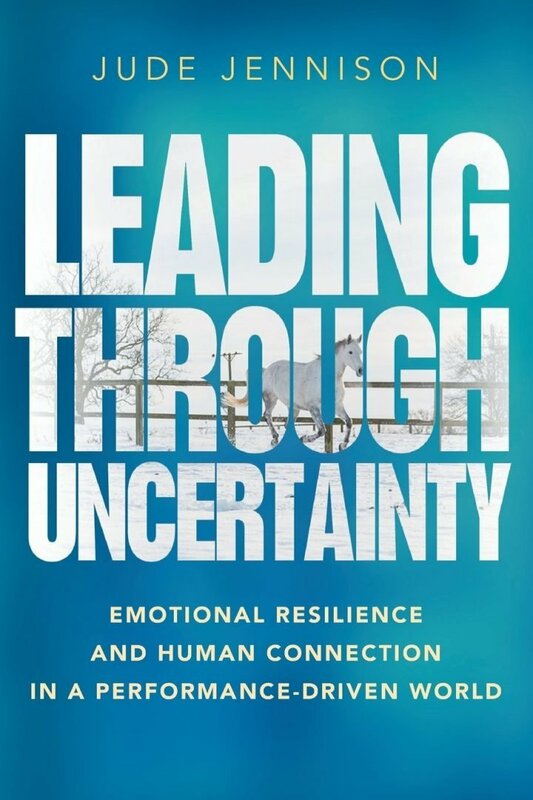 If we accept that uncertainty generates strong emotions, how do you equip leaders to be skilled in handling those emotions? This is the challenge we face when leading through uncertainty. 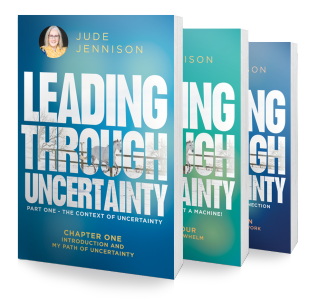 Whilst uncertainty may generate strong reactions in those around you, it also impacts and influences your leadership. You are not immune from stress and fear, any more than anyone else is. How do we encourage people to be human again in moments of uncertainty? When you encourage natural leadership and authentic behaviour to be present in every moment, you create a transparency that enables people to relax into their leadership, without the anxiety of needing to be the “perfect” leader. How do you allow yourself to have emotions in relationship with others, knowing that your emotions influence your leadership? People who lack self-awareness are often oblivious to the struggle of others around them. What can we learn from these people? They have a tendency to float through life, not necessarily being easy to work with, but they lack the anxiety that comes with self-awareness. Self-awareness can create further anxiety as people try to behave as they believe they “should” behave. In the desire to be self-aware, we can increase the struggle of uncertainty as we aim to be the “perfect” leader. Self-awareness needs to be balanced with self-control and requires a letting go of blame, judgment and criticism, especially of yourself. The tendency for self-flagellation has no place in leadership! 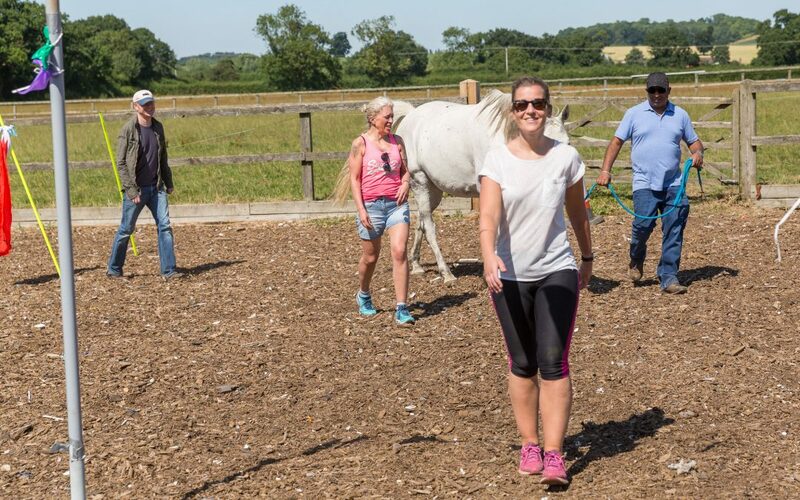 True self-awareness involves noticing the patterns of behaviour that we exhibit, the impact of them and then the choice to do something different if it is not what we want. The choices you make become the framework for operating in uncertainty. Your values and beliefs when articulated provide a structure for people to rely on. Your learning and growth start with self-awareness. Behavioural change can only occur when we deepen the awareness of how we behave and make choices about how we want to behave and the impact we want to have on others. When teams have the confidence and trust to give feedback without judgment, they help each other build self-awareness and develop new skills.